The Real Estate Group of Summit County, Inc. Ski area is another Vail owned resort and a favorite of families. The new River Run Village offers a selection of restaurants, bars and shops. Two gondolas serve up some of the best skiing in Colorado and one of the highest AAA Four-Diamond dining experience in North America (Alpenglow Stube). Enjoy breathtaking views while traveling in enclosed comfort to the top of the North Peak® at 11,444 feet. Ski area is owned by Vail Resorts and destined to become the next Aspen in Colorado. A quaint Victorian town at the base of a world class ski resort only 90 minutes from Denver, Colorado. The avid skiers love Copper Mountain ski area for its diverse terrain and big back bowls. Intrawest owned and developed featuring the new Village at Copper only 1/2 hour from the slopes at Vail, Colorado. 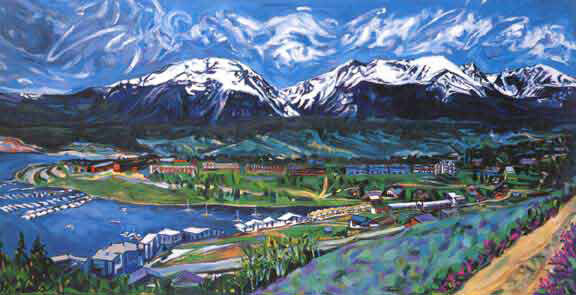 Lake Dillon is Colorado's signature feature. Surrounded by fourteener's from the Gore Range to Torrey's Peak, the town of Dillon is central to 4 world class ski resorts. Many real estate web sites rely on individuals to update listings or download data periodically. Our data is a live connection to the MLS. Therefore, the minute a new Summit County MLS listing hits the market, we know about it. If you would like to be alerted of new property for sale, sign up for our automatic listing notification.